When looking to design your outdoor setting, the first thing anyone looks at is the furniture. 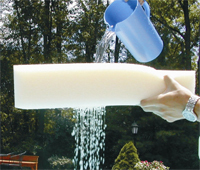 What would work well out-of-doors and which types of outdoor furniture cushions would be able to withstand infiltration from water from those heavy rains we are prone to during rainy season. Is there any such thing as fabric that is waterproof or should you realistically be looking for water-resistant fabric? Here are a few facts that might help you determine what fabric is waterproof and if any is well suited to outdoor cushion covers. There is a great deal of misunderstanding between what constitutes a waterproof fabric and that which is just resistant to water seepage. 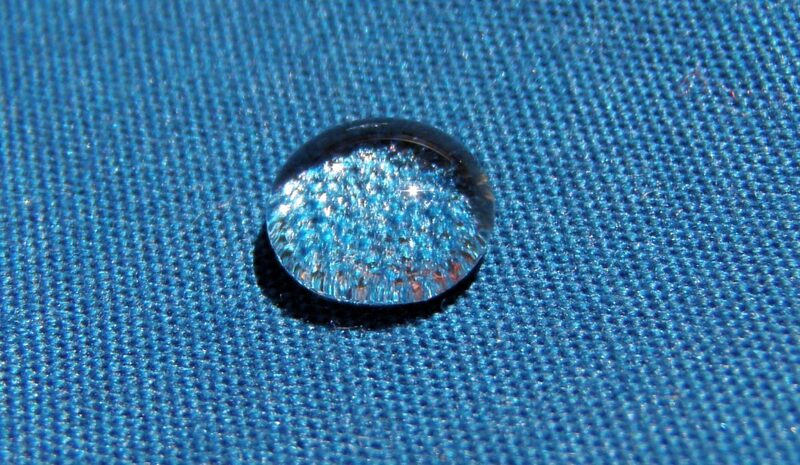 Waterproof fabric is generally synthetic and is formulated to have extremely tightly closed cells so that it is virtually impossible for moisture to break through the barrier. For use in outdoor chair cushions and outdoor cushion covers, you obviously would probably prefer waterproof fabric. Internationally renowned fabric manufacturer Sunbrella has water resistant and water proof fabrics. The water repellant fabrics are available in any of the upholstery fabrics and the water proof fabrics are available in the marine fabrics. When it comes to waterproof fabric, there are really only a few choices that make sense from a practical perspective. 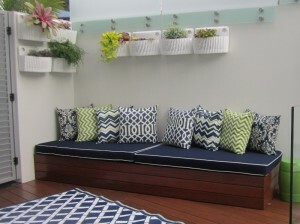 The reason for this is because water is not the only consideration when planning outdoor furniture cushions. It is wonderful that water won’t get through, but what about UV rays bleaching the fabric out? If you want your furniture to have a multitude of faded spots on your chair cushions, then any waterproof fabric would do. And do you really need a water proof fabric? These fabrics are normally more harsh than a normal outdoor upholstery fabric, but if you used a waterproof foam in your cushions, then a water repellant fabric would be perfect. Now that you understand that not all waterproof fabrics are created equal, what is the best fabric that meets all requirements? Most high-end outdoor furniture manufacturers today choose to run with a type of fabric called ‘acrylic canvas.’ This is a natural fabric that has been specially designed to withstand both UV radiation and water. It is the most sought after fabric for outdoor furniture cushions for this reason alone. In Australia, we can be proud of the one company that has put our name on the map for having the widest range of designs as well as the highest quality fabric for use on outdoor cushions. Which Fabric Is Best for Upholstery?